Meet the Beatles for Real: They say it's your birthday, Julie Harris! They say it's your birthday, Julie Harris! 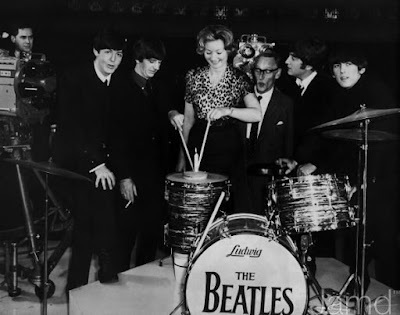 March 26, 1964 - Is she trying to cut the cake with Ringo's drumsticks? And really guys---what is the deal with that candle?